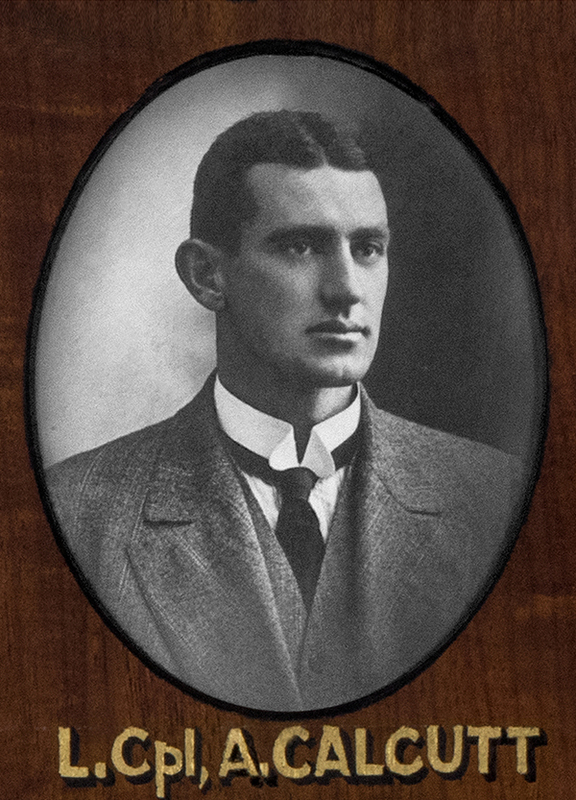 Charles Heazlewood’s name appears on the Australian War Memorial’s Commemorative Roll. The roll records the names of those Australians who died during or as a result of wars in which Australians served, but who were not serving in the Australian Armed Forces and therefore not eligible for inclusion on the Roll of Honour. 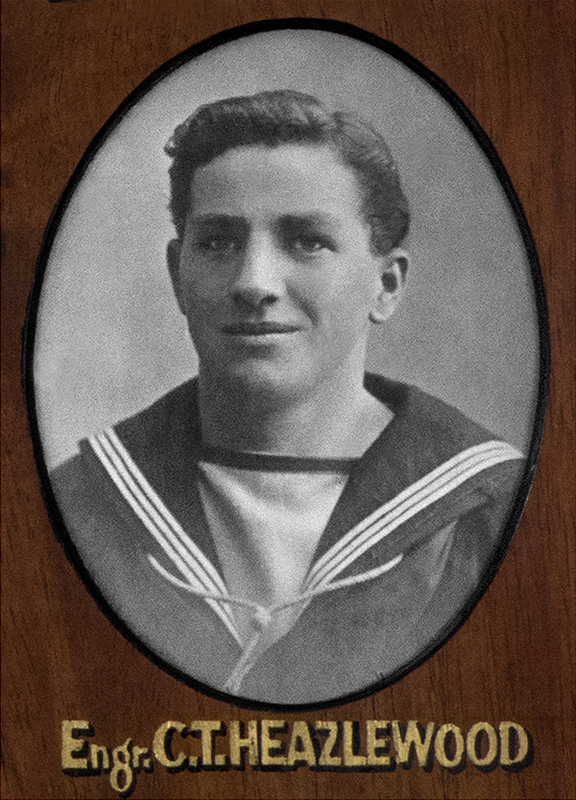 Charles Heazlewood was in the Merchant Navy serving as 4th Engineer aboard the SS Southborough. 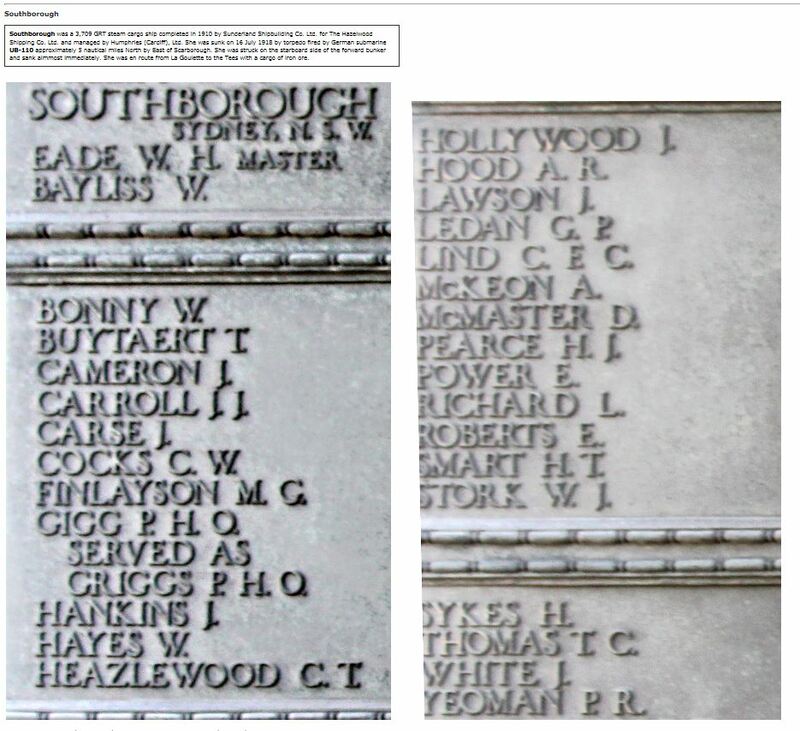 In July 1918 the Southborough was torpedoed and sunk by a German submarine east of Scarborough, UK. She was en route from La Goulette to the Tees with a cargo of iron ore. There were only eight survivors. Charles Heazlewood is remembered at the Tower Hill Memorial, which is a Commonwealth War Graves Commission war memorial on the south side of Trinity Square Gardens, in London, England. The memorial commemorates those from the Merchant Navy and fishing fleets who died during both world wars and have “no grave but the sea”. 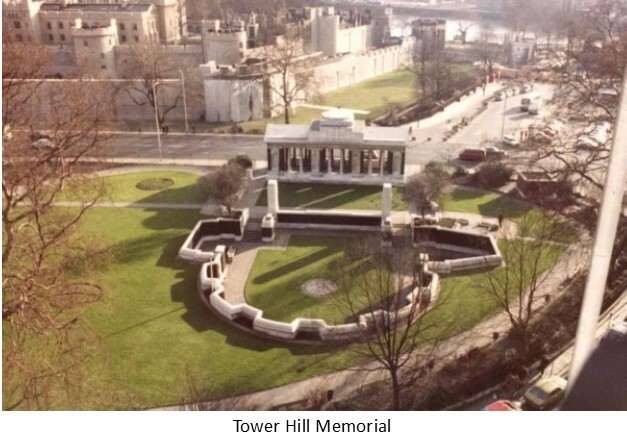 The First World War memorial contains 12 bronze plaques engraved with 12,000 names. An honour board was unveiled at the Newport Dispensary Hall for the Newport Tent I.O.R. in December 1919. 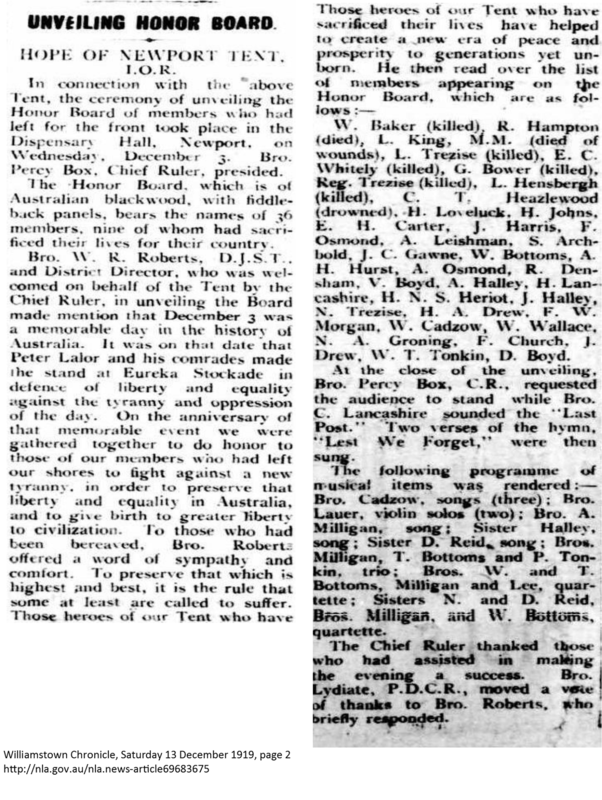 The honour board, which was made of Australian blackwood, with fiddle-back panels, contained the names of 36 members, nine of whom had sacrificed their lives for their country, of which C Heazlewood was one. 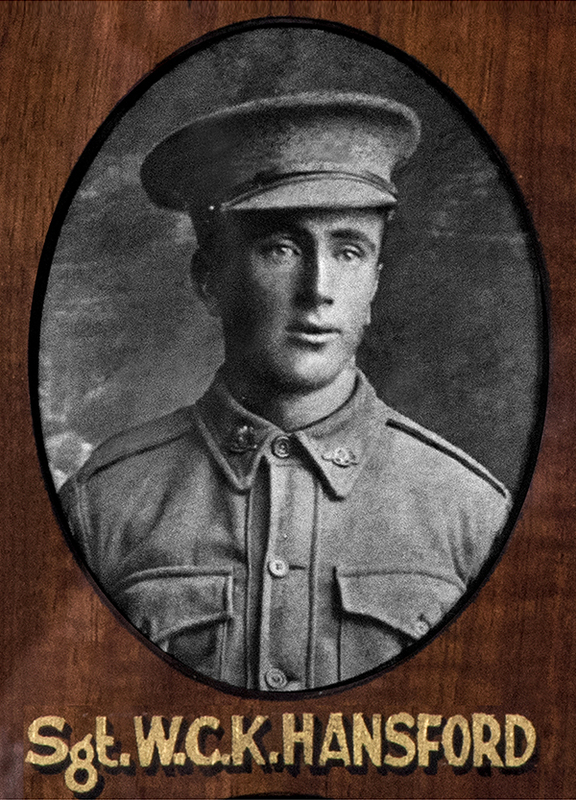 Charles’s brother, Archibald Stevens Heazlewood (8185), enlisted 13 July 1915, served in the Field Ambulance and returned to Australia in December 1918.